With the Reconquista almost complete, and the Iberian peninsula almost entirely in Christian hands, the kingdom of Portugal has turned its attention to the shores of Africa. With the conquest of Ceuta in 1415 the founder of the Avis dynasty, João I, have already made the first inroads into the Moorish homeland. A policy that his grandson, the still young Afonso V will continue to the best of his abilities. It is however through the work of Afonso's uncle, Dom Henrique, Henry the Navigator, that Portugal will leave its mark upon the world. Under Henrique's direction Portugal has made great leaps in shipbuilding and navigation, embarking on expeditions long past cape Bojador in the south. Seeking gold, spices and perhaps the legendary kingdom of Prester John, Portuguese sailors are about to undertake voyages all over the globe. They are reaching for new continents in the west as well as India, Indonesia and even China and Japan in the East. Indeed Portuguese sailors might one day circumnavigate the entire globe. As of 1444 Afonso is still a minor, with the daily rule of the kingdom entrusted to another uncle, Don Pedro, duke of Coimbra. 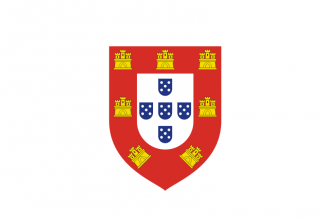 Don Pedro's regency has been fraught with the difficulties of controlling the strong Portuguese nobility at court, but the duke has so far been able to ably strengthen royal power at their expense. As Afonso grows older however other forces at court will try to control him, hoping to use the young king for their own designs. While Castile has had a series of weak rulers and strong nobles, the Castilians can be a serious threat to the Portuguese. The royal house of Avis has therefore pursued a policy of intermarriage with the Castilian royal family, hoping to ensure a lasting friendship and possibly strengthen future Portuguese claims to the Castilian throne. As a Tier 1 country, Portugal has a large amount of missions and events, which are therefore listed on separate pages. Portugal's missions include the exploration and colonization of the New World, Africa, and India. Portugal's events are focused around colonization and expansion in the Americas, Africa, and Asia, as well as its volatile relations with its colonial competitors, particularly the Dutch. Spain militarily. Note that this is even possible (again) if Spain had been formed before by Castile, and then fully annexed. The AI will never do this, however. Global expansion in newly discovered areas and the establishment of colonies is transforming Spain into one of the most powerful and wealthiest nations of our time. Spanish explorers are constantly moving into new lands and extending our borders. Immense amounts of gold and silver are being brought back to our motherland, filling the coffers of our state Treasury. Is not a subject nation. A Muslim nation does not own a province in Iberia region. provinces: Barcelona (213), Zaragoza (214), Valladolid (215), Salamanca (216), Sevilla (224), Toledo (219), València (220) and Granada (223). HRE and not an elector / emperor, all own provinces are removed from the HRE. Gain a permanent claim on all not owned provinces of Iberia region, except the areas of: Alentejo, Beira, Macaronesia. This infobox may contain outdated information that is inaccurate for the current version of the game. The last version it was verified as up to date for was 1.26. His Holiness has approved a new missionary order called the Society of Jesus. However without royal support it will not thrive, shall we support the Jesuits? does not have the modifier “The Societas Jesu”. does not have the modifier “Jesuits Expelled”". has an administrative technology of at least 10. Castile to the north and east. Besides the mainland, it also owns Ceuta in North Africa, and two islands, Madeira and The Azores, which can serve as stepping stones to the Americas. Portugal starts with an explorer alongside a proper fleet for exploratory missions. Therefore, it is an ideal nation for players who want to discover and colonize the New World, Africa and the Far East. Its national ideas are geared towards turning the country into a global colonial and trade superpower. Have a good strategy for Portugal? As Portugal, have a colony in Brazil and in Africa. As Portugal, get owned provinces in Africa, India and Indonesia before 1500.